Black Friday is a huge deal in Europe. So Amazon workers there are walking off the job in protest. Amazon workers in Spain, Germany and Britain went on strike on the day of the "Black Friday" sales. As Americans scoured the internet in search of shopping deals on Friday, Amazon.com warehouse workers in Europe were protesting the e-commerce giant - in some cases walking off the job to highlight what they said were unsafe working conditions and low pay. The protests struck Amazon across the continent, including in Italy, Germany, Spain and the United Kingdom. In Britain, union officials representing Amazon workers predicted that hundreds would appear at protests throughout the day in five locations. "The conditions our members at Amazon are working under are frankly inhuman," said Tim Roache, general secretary of GMB, in a statement on the organization's website. 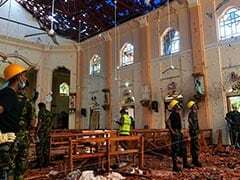 "They are breaking bones, being knocked unconscious and being taken away in ambulances." Earlier this year, the UK-based group said a Freedom of Information request aimed at first-responders showed that ambulances had responded to calls for help at Amazon facilities roughly 600 times over the past three years. More than 600 workers have gone on strike in Germany, where workers earn a starting salary of about $12 an hour, according to Reuters. And in Spain, one employee told The Associated Press that the walkout was deliberately timed for "one of the days that Amazon has most sales." "These are days when we can hurt more and make ourselves be heard because the company has not listened to us," said Eduardo Hernandez, in an interview with the AP. 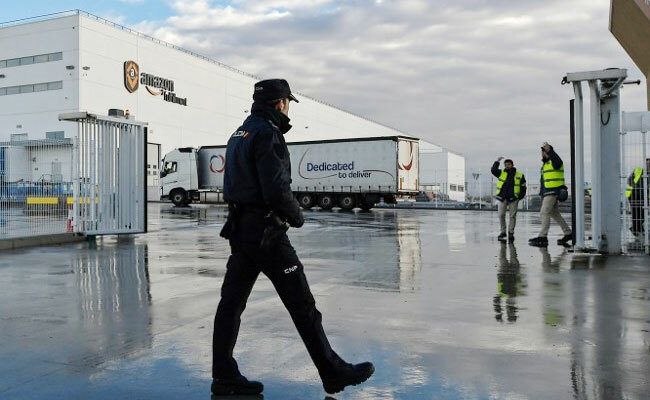 Spanish employees last walked out in May, when workers at an Amazon facility near Madrid went on strike during the company's annual Prime Day sales event. Friday's real-world demonstrations quickly moved online as workers and supporters of the strike used the hashtag #AmazonWeAreNotRobots to spread the campaign. Amazon defended its workforce record in a statement to Mashable. "Amazon has invested over 27 billion euros and created over 75,000 permanent jobs across Europe since 2010," the statement said. "These are good jobs with highly competitive pay, full benefits, and innovative training programs like Career Choice that pre-pays 95% of tuition for associates. We provide safe and positive working conditions, and encourage anyone to come see for themselves by taking a tour at one of our fulfillment centers." Although the Black Friday shopping frenzy is closely linked to Thanksgiving in the United States, retailers have increasingly begun to offer the same deep discounts to international audiences. Black Friday deals are expected to produce an additional $2 billion of revenue for retailers in Europe, some analysts say. The walkout by Amazon laborers is aimed at disrupting that spending spree, and forcing the online platform to make concessions to its workforce. The effort comes as the company faces heightened scrutiny over its decision to locate two new US offices in northern Virginia and New York after encouraging dozens of metropolitan leaders to compete with one another for the company's favor. Critics of the move have called it a publicity stunt benefiting two regions of the US that are already economically successful, not to mention one of the world's largest e-commerce companies. Amazon Workers Across Europe Strike On "Black Friday"